Pastor Dale Paulsen of the Morro Bay Presbyterian Church, was walking in the 500 block of Ramona Avenue in Los Osos at about 5:30 p.m. when he was struck by a pickup truck. The driver, 24-year-old Emily Bales, fled the scene, according to the CHP. 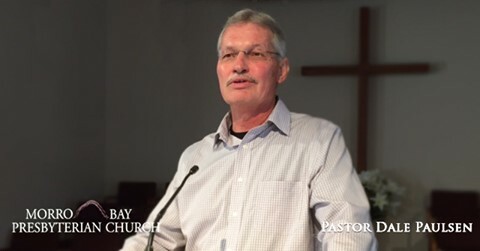 Paulsen, a resident of Los Osos, delivered weekly sermons on Sundays at Morro Bay Presbyterian. He said he aimed to spark changes in churchgoers lives between Sunday mornings and Monday mornings. The church has yet to make an announcement about memorial service arrangements. Officers booked Bales into the SLO County Jail with her bail set at $100,000. Bales is no longer in custody, according to the county sheriff’s office website. Very sad for his family and his Church members. a life has been ended tragically and another life changed forever once again due to substance abuse. It will be interesting to learn what the results of the blood tests prove to be. Now that the state has determined that legalizing another impairing substance is a good idea for the collection of taxes, this is going to be all the more common. 3 felonies = $100K bail?? Also, leaving the scene makes her a flight risk. Why is she out of jail? It’s the new “softer” on crime California. Shortly we may do away with bail altogether and just ask nicely that an accused with show up for their trial and try not to commit any other crimes in the meantime. Sanctuary Newsom our new governor. My condolences to his family and church.